OFF! 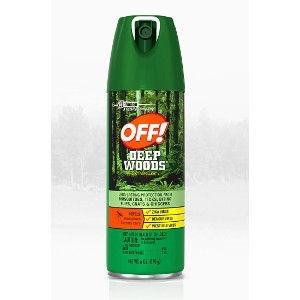 Deep Woods® Insect Repellent V provides long-lasting protection against biting insects such as ticks, mosquitoes, black flies, sand flies, chiggers, and gnats. It also repels fleas and no-see-ums, so you can enjoy the outdoors uninterrupted.